(NaturalNews) MY HEART GOES OUT to those injured in this morning’s NJ train accident. My hope for all Americans is that we can all live in a safer, more just and more free society. To make sure Hillary Clinton wins the nomination, I wouldn’t put it past James Comey to order the FBI to carry out an act of mass murder against the American people so they can blame Donald Trump. Watch for bombings of bridges, ports, airports, tunnels, railroads, ferries or other transportation infrastructure that the FBI just loves to target with its false terror plots. 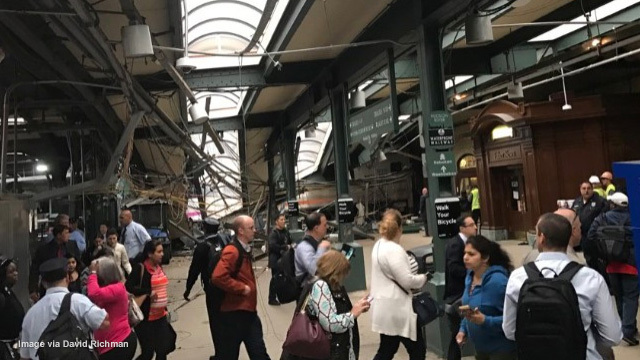 This morning, a train slammed into the terminal in New Jersey, injuring over 100 people. My answer is no. It’s most likely just an accident. Although this could have very easily been carried out by the FBI in order to distract America from all the damning revelations about FBI head James Comey being a corrupt Clinton operative — see this Breitbart.com article — this train wreck is far too small for Obama to scrub the election. The kind of false flag I’m warning about would be much larger and would involve far higher casualties… in the thousands. The NJ train wreck, although extremely tragic and sad to witness, simply did not reach the scale of carnage that globalists typically pull off to achieve much larger political goals. The attacks of 9/11, for example, were allowed to be carried out by the Bush administrationin order to push the Patriot Act into law (which legalized the police state surveillance of all Americans… which was covered up and denied by the entire media until the Snowden revelations exposed the truth). We now know several things about 9/11 that were suppressed at the time: 1) The Saudis were the masterminds of the attack. 2) The third building (WTC7) was brought down with controlled demolition (meaning it was obviously pre-planned). 3) The Bush administration deliberately stood down America’s military defenses to allow the attack to succeed, then leaped on the attack as an excuse to roll out a surveillance police state. The kind of scale that would have to pulled off in a false flag operation today would mirror the scale of 9/11. For corrupt government globalists to achieve their goals in such false flag attacks, they have to cause mass casualties and, importantly, also cause extreme disruption of economic activity for the nation. 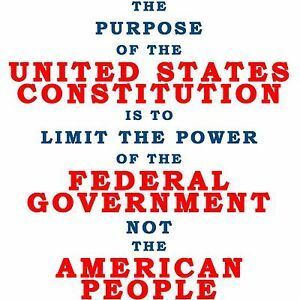 Only then can the government justify “big” things like passing the Patriot Act or delaying a presidential election. As I’ve stated before, the risk of a large false flag attack against America rises inversely to the plummeting of Hillary’s poll numbers. The more likely Trump wins, in other words, the more likely the globalists activate their false flag plans to delay the election, execute candidates or unleash nationwide martial law. Watch the polls and you’ll instantly know the risk of a large-scale 9/11-class event being given a green light in another American city. If the globalists really do attempt to halt this election in the next 40 days — and I think there’s a solid chance they will — the kind of false flag even they’ll pull off will be so huge and so deadly that you won’t have any doubt what you’re witnessing. 1) LARGE loss of life. At minimum, thousands of Americans lost. 2) GORY VISUALS: The event must provide gory visuals that can be repeatedly run on TV news, hammering the psyche of America with fear, fear and more fear. Basically, it must show mass suffering, explosions or destruction. 4) SEVERE ECONOMIC DISRUPTION: It must cause severe economic disruption of large enough scale that President Obama would be justified in delaying the presidential election until people can get back on their feet. This will be accompanied by Obama’s heartfelt speech about how he has to “protect democracy from terrorism” and thus reschedule the election to a later day. 5) BOMBERS STILL AT LARGE: To justify the martial law and police state presence after such an event, the narrative must claim “the bombers are still at large.” And by “bombers,” I mean whoever is claimed to pull off the event. It could be radiological terrorism, biological terrorism, chemical bombings, etc. But whoever is blamed for it all must remain “at large” for quite some time so that the American sheeple get used to police checkpoints all over the police in the so-called “hunt for the bombers.” Remember, when the totalitarian police state is really unleashed on the masses, most people will BEG FOR IT because they have been psychologically terrorized by the media into a state of obedient fear. So those are the five things to watch for. If you witness an event that combines all five of those elements, you are witnessing a massive false flag operation. If Obama starts talking about “protecting American democracy against terrorists” by moving the election date, you’ve just witnessed a false flag operation. If you are told to “shelter in place” instead of going out and voting, you’ve just been punked by a false flag operation. If you hear that the election has been postponed or rescheduled, you’re witnessing the aftermath of a false flag. WE ARE FORTUNATE SO FAR in the realization that the more dire predictions about catastrophic events have not yet come to pass. Some of my own sources are astonished that nothing dire has yet happened. As I’ve stated multiple times, if we make it to election day with our democracy intact and both candidates still alive, we should count our blessings (and then vote the crooks out of office). Yet I’m also old enough, wise enough and experienced enough to know that the globalist puppets who really run this world almost never leave elections up to the voters. There is nothing they won’t try to halt this election if it looks like Trump is going to win. This NJ train wreck, however, isn’t anywhere near the scale of attack that would qualify as an election disrupting false flag. It’s probably just an accident by another medicated train operator whose on antidepressant drugs. That’s all based on what we know so far. If new information comes to light that warrants a change in this conclusion, I will of course update my assessment. But based on what we know right now, this looks like nothing more than another unfortunate train operator accident. Hillary, like the scorpion, just can’t help being corrupt – it’s in her nature! U.S.-backed rebels in Syria have turned off the water to 1.5 million Syrians living in West Aleppo, putting millions of lives at risk and sparking a humanitarian crisis. The harsh move comes in response to the Syrian Army airstrikes on East Aleppo that reportedly left 250,000 residents without water. The city of Aleppo is “dying” according to United Nations officials after a fierce wave of bombing last night by the Syrian Army in an attempt to break the stalemate in what once was the economic capital of the country but is now left to rubble after years of combat between the Assad government and rebels. Face it, NATO and its allies would have labelled Jesus Christ the Butcher of Damascus if this had suited their agenda of forced regime change in Syria. Anyone who saw the vilification of Alex Salmond during the run-up to the referendum on Scottish Independence, or of Corbyn during the British Labour leadership campaign, by ‘responsible organs of the Press’, must have come to full realisation of how totally unbridled, how totally unprincipled, the Establishment and its mouthpieces can be once they declare war. I used to watch wrestling when I was a kid… I come from the age of Hulk Hogan, Ultimate Warrior, and Randy “Macho Man” Savage. Huddling close to the television each weekend, my friends and I would cheer for our favorite stars and their signature moves. I was stunned. It seemed so real… the matches, the hits, the drama. Every time Hulk Hogan would be at the point of near-exhaustion, and then rally to victory from the chants and cheers of the crowd, I had believed it all. When I actually started paying attention it became obvious that professional wrestling was a farce staged purely for entertainment purposes. Funny thing– even though I knew it was fake, I continued to watch wrestling for several more years, until I was probably 10 or 11. It was, after all, still entertaining. That’s how I felt last night watching the Presidential debate. It was pure entertainment… a guilty pleasure that ranks somewhere between Wrestlemania and stuffed-crust pizza. I know a lot of people feel the same way, that debates are meaningless vacuums of intelligent discourse which are simultaneously entertaining and awkward to watch, like witnessing two intoxicated lovers engage in a very public, dramatic breakup. Sadly, this is what passes as a critical component of the political process in the most advanced economy in the world. I recognize that people feel they have an important choice to make, whether to give the system a deserved enema or maintain the status quo… and that perhaps they’ll glean some insight into the candidates’ agendas by watching the debates. In reality you’ll find more substance in a fourteen year old’s Twitter feed. There’s no talk of actual plans, metrics, priorities, or details… just a bunch of zingers and platitudes. That’s not how things are supposed to work in the real world. I run several companies– agriculture, manufacturing, publishing, and now banking, with a total of roughly 350 employees. Our management teams lay out concrete plans to the stakeholders articulating the specific goals and vision of each business, how we achieve those objectives, and what specific metrics can measure our performance. Plus regular updates report on our progress, any deviations to the plan, and whether or not we are on-time and on-budget. This isn’t rocket science or some radically innovative concept. It’s what any competent, ethical business manager does. But that’s not how government works, and it’s not how the political system works. Whenever I visit the US, people frequently ask me who I’m voting for. It came up over dinner on Saturday night in Connecticut with Peter Schiff and his wife Lauren. I typically joke that Trump is the only qualified candidate because he’s declared bankruptcy so many times… and with nearly $20 trillion in government debt, you want to have someone in office who knows which paperwork to file. But my honest answer is that I don’t vote. For starters, it doesn’t actually matter who’s in office. The government spends nearly the entirety of the tax revenue it collects just to pay interest on the debt and cover mandatory entitlement programs like Social Security and Medicare. They could literally cut everything we think of as government, from the military to the Internal Revenue Service, and it would barely make an impact. Plus, even the government’s own optimistic projections show that the debt will continue to grow at a much faster pace than the economy itself. So any choice ultimately leads to the same set of extreme economic consequences. As I explained to my friends, voting only validates a rotten system that has not only abandoned its primary stakeholders, but is now rigged against them. Besides, what are we really voting for anyhow? People typically cast a ballot for the person they believe will bring the most prosperity. But this is ludicrous when you think about it. Can we really expect that some politician thousands of miles away will magically increase our incomes? No. WE are the ones who have the most influence to grow our own prosperity. From learning new skills to making better investments, starting businesses, cutting taxes… we have nearly unlimited ways to become more prosperous and provide a better life for our families. So the truth is that there’s only one viable candidate to make your dreams and ambitions a reality. That’s you.